At Waterside we are proud to be involved in a three year nationwide research project entitled philosophy for children, or P4C for short. The project is aimed at allowing children to evolve their own thinking skills, ensuring they are better equipped for the wider World as they grow. This is an exciting project, as it echoes our own visions and values here at Waterside, where we actively encourage our children to be independent learners and thinkers. 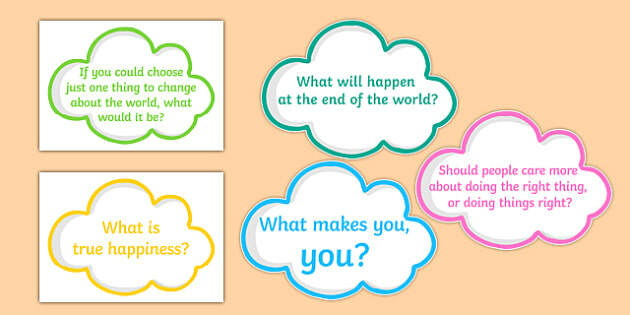 P4C questioning does not follow a linear path, it instead allows for questions to evolve and grow organically. As you can see, the potential scope for the children's thinking skills is massive and we see this as an intrinsic part of our SMSC education at Waterside.